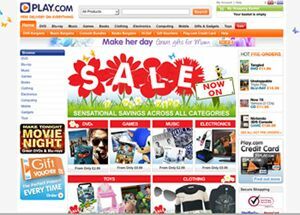 Play.com warns customers of security breach | What Hi-Fi? The online retailer Play.com is warning its customers that their details may have been stolen in a security breach at a marketing firm used by the company. In an email sent out to customers, Play.com warns names and email addresses "may have been compromised" but that credit card details remain safe. The email stresses that "this issue has occurred outside of Play.com and no other personal customer information has been involved". Play.com reminds punters that the company will never ask for passwords, bank accounts or email addressses, and warns users not to respond to any communications asking for such information.